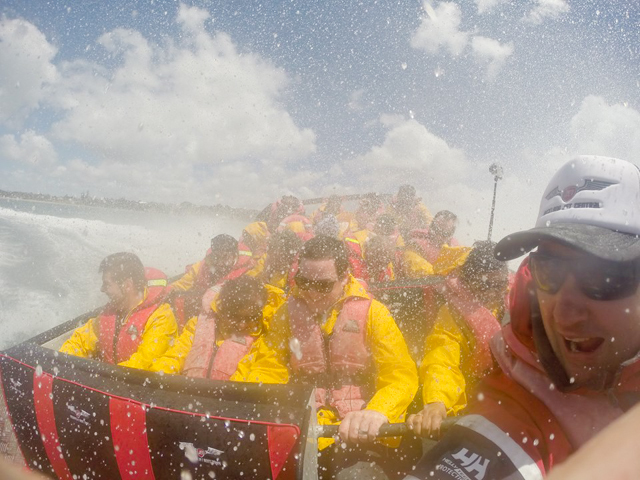 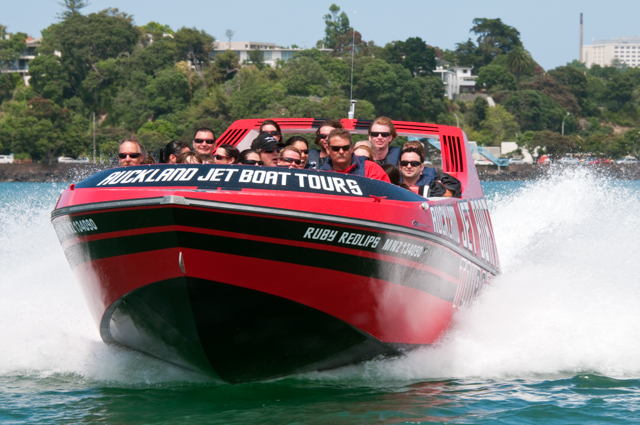 Experience Jet Boating on Auckland Harbour with Auckland Jet Boat Tours …The ultimate adventure thrill in Auckland. 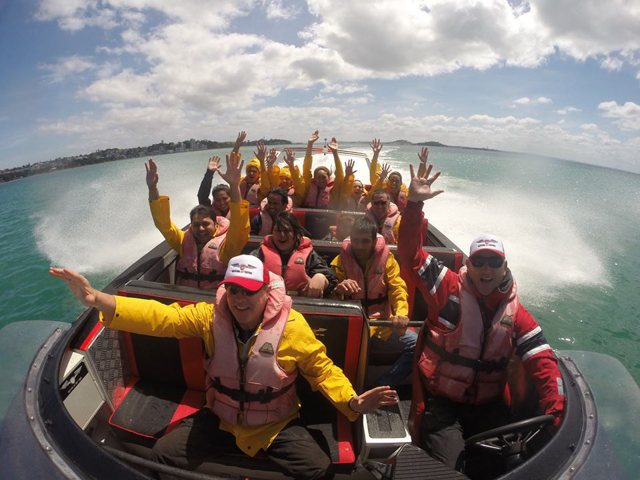 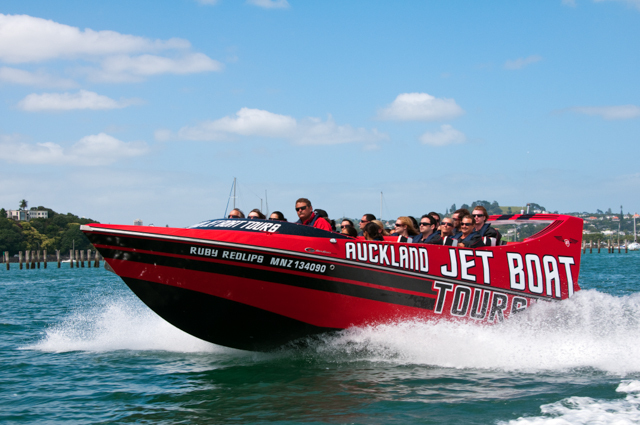 A 35 minute, action packed jet boat adventure that takes place on Aucklands’ Waitemata Harbour aboard ‘Ruby Red Lips’ with her twin Chevy with a combined 840 horse power engines making it Auckland’s fastest jet boat trip for a ride that you will never forget. 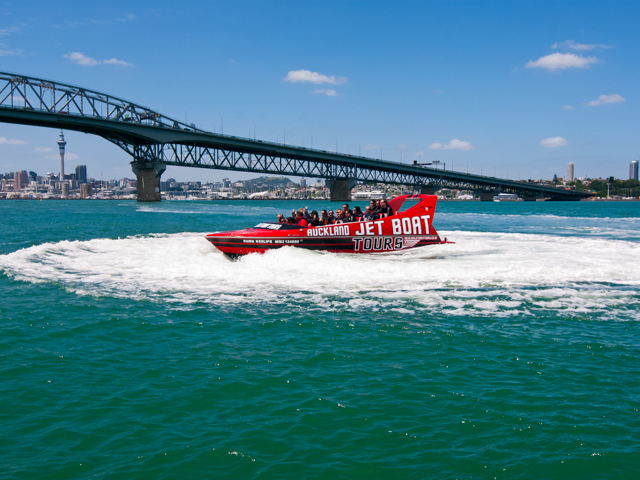 Exiting Aucklands’ Viaduct Harbour we pass under the iconic Auckland Harbour Bridge and the Chelsea Sugar Factory on the way to Kauri Point. 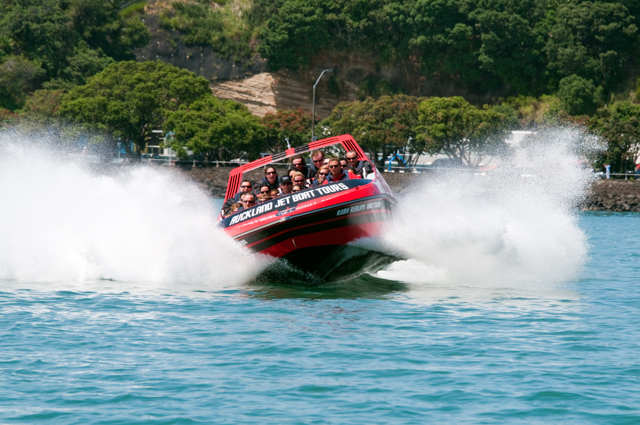 Once on the harbour the real fun begins as the gutsy engines roar into action and you have to hang on tight for the high speed 180° and 270° manoeuvres, the wave riding, power slides and high speed fish tails. 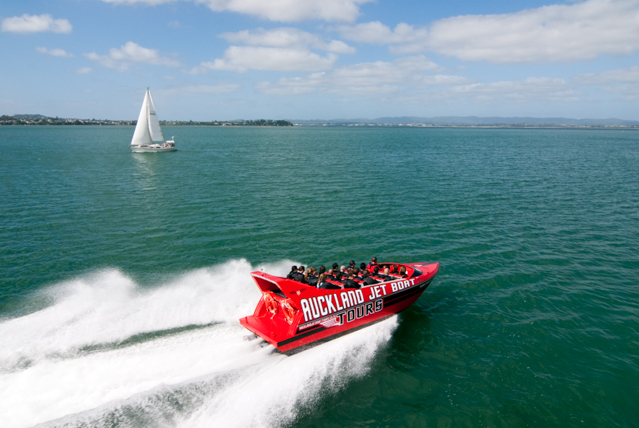 From here you will be whisked at speeds you won’t believe in into the Hauraki Gulf where you will have fantastic views of Devonport and North Head. 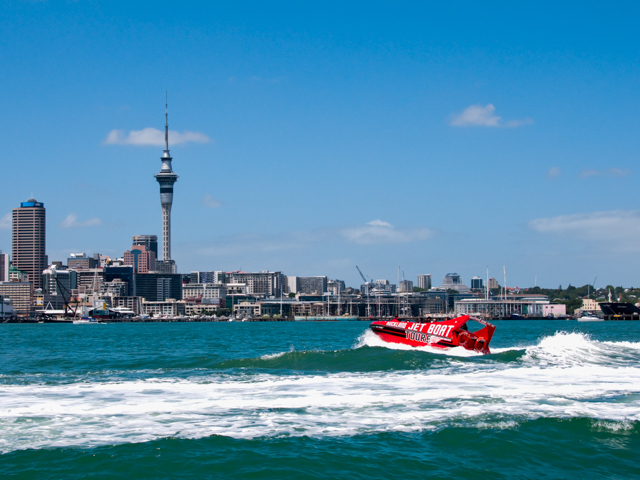 Our skipper will provide an informal commentary with history and local information of the area with plenty of photo opportunities as you are whisked to the other side of the harbour. 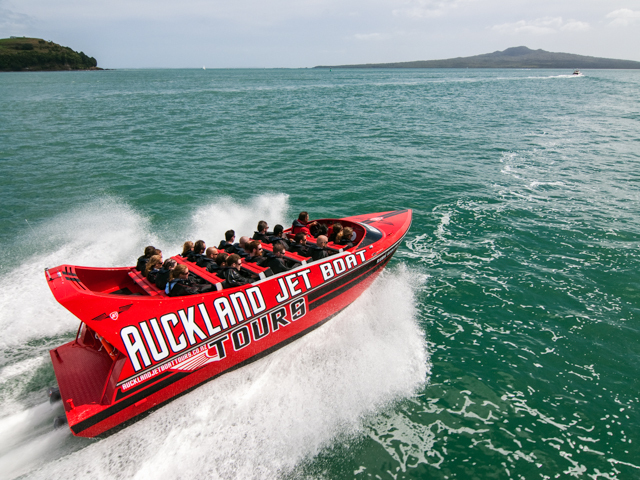 Race toward the volcanic Rangitoto Island experiencing spins and high powered stops along the way. 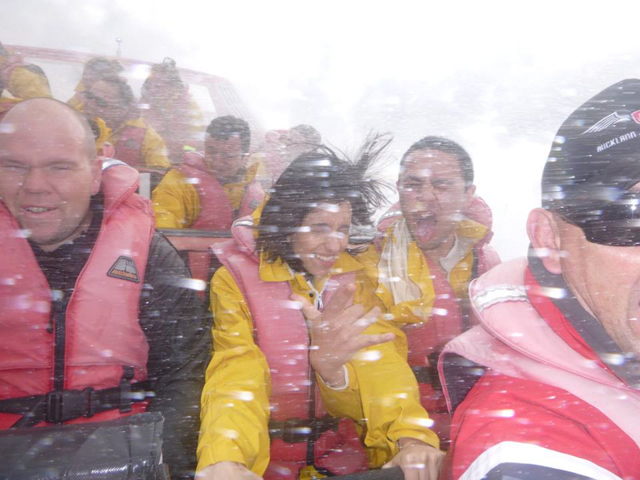 Choose your date and then go to Book Now and select a time you wish to experience this awesome trip.